Here's the thing. I love this design. 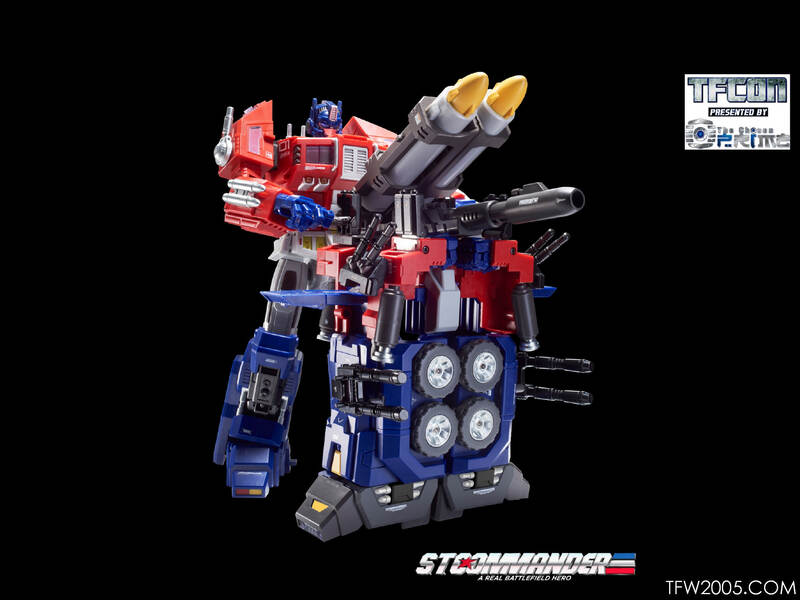 In fact I think this design should be more for Sentinel prime. Golds and metallic reds. 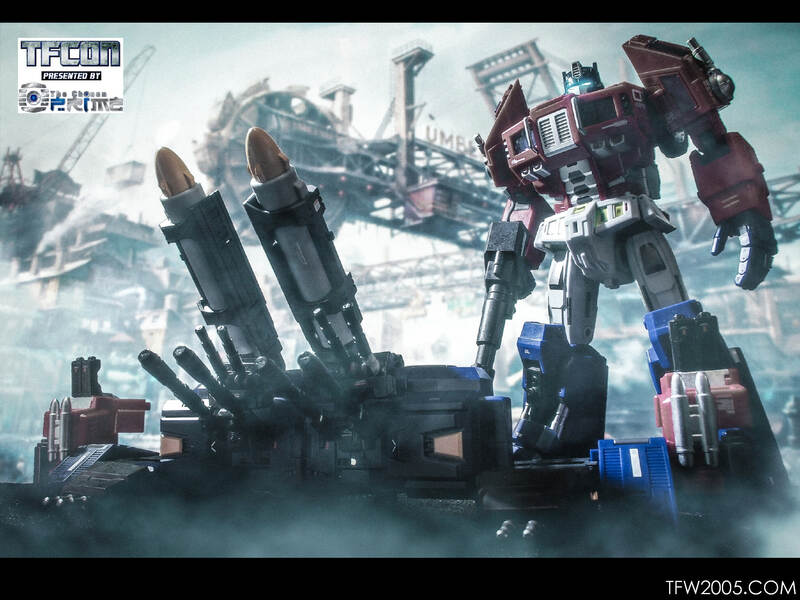 I know where this is from, but I've never seen prime as a missile launcher, or war platform. 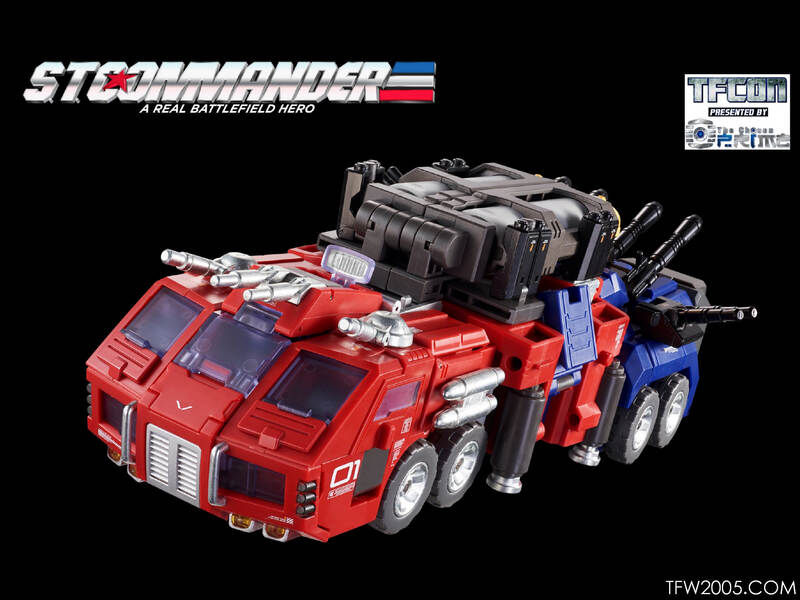 Optimus Prime for me, no matter how badass a warrior, he always when in altmode took on a domestic vehicle. A symbol of his civilian side, and being helpful, not dangerous and all war. So yes I'd love this. 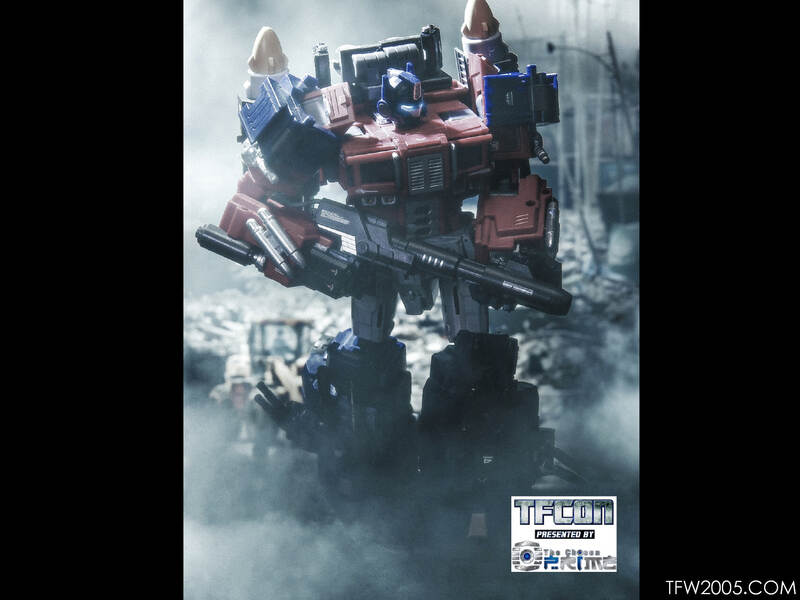 But I would prefer this be Sentinel Prime, just as I wished the same in the comics. Good ol' Baba. You're in good hands. I think it's sometime in April? 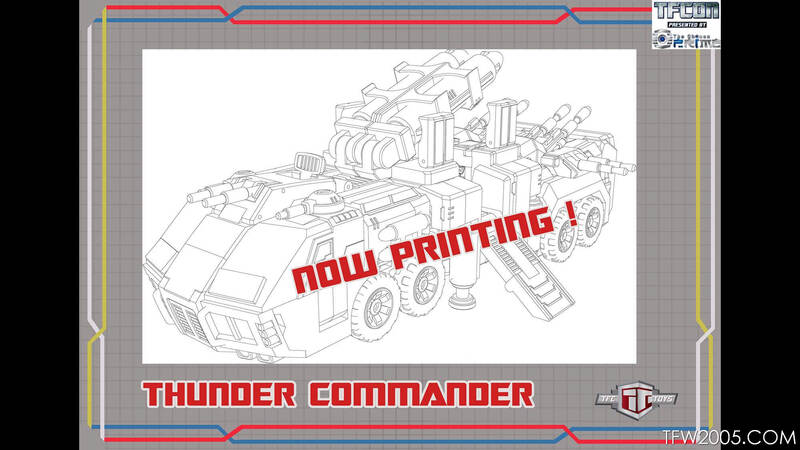 Ordered a bunch of dianauts to pilot it when it arrives! Finally put mine in his super mode after displaying him in his standard bot mode all this time, and wow...he looks super imposing. Definitely looking forward to the camo version. 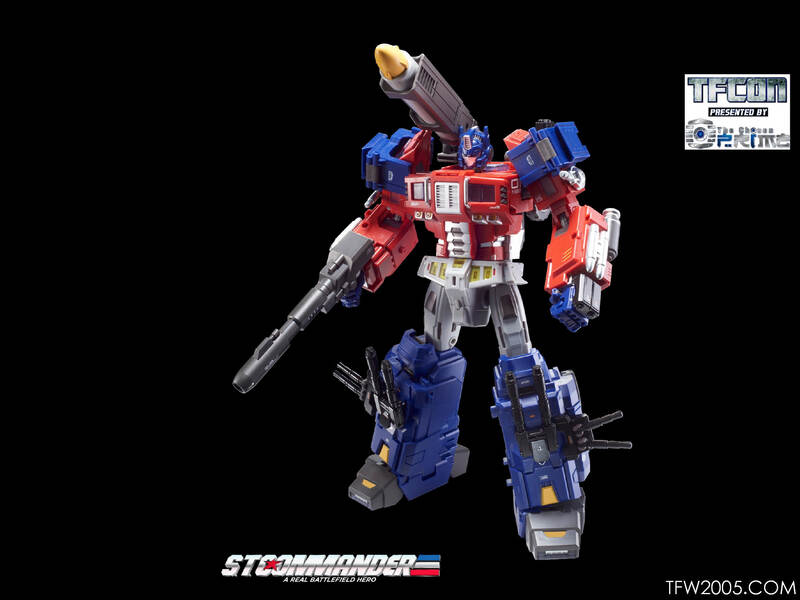 That's why I mentioned before that this figure reminds me of G2 Hero Prime. 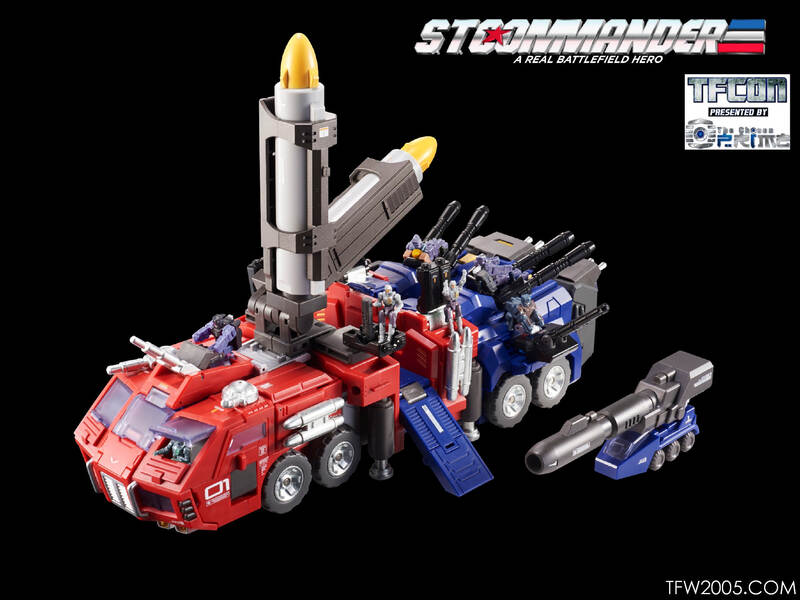 As you said, Prime is usually a civilian vehicle, but here he is a missile launching truck. He even took on this form at the end of the G2 comics. Ironically taking this more warlike alt/bot mode after the Decepticons and Autobots came to a truce. 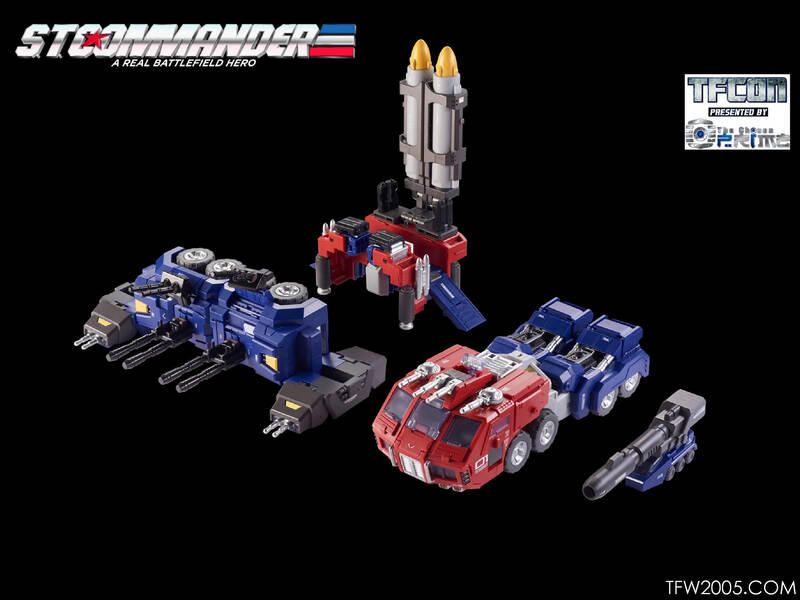 The TFC figure can even get similar loadouts with the missiles over the shoulder. 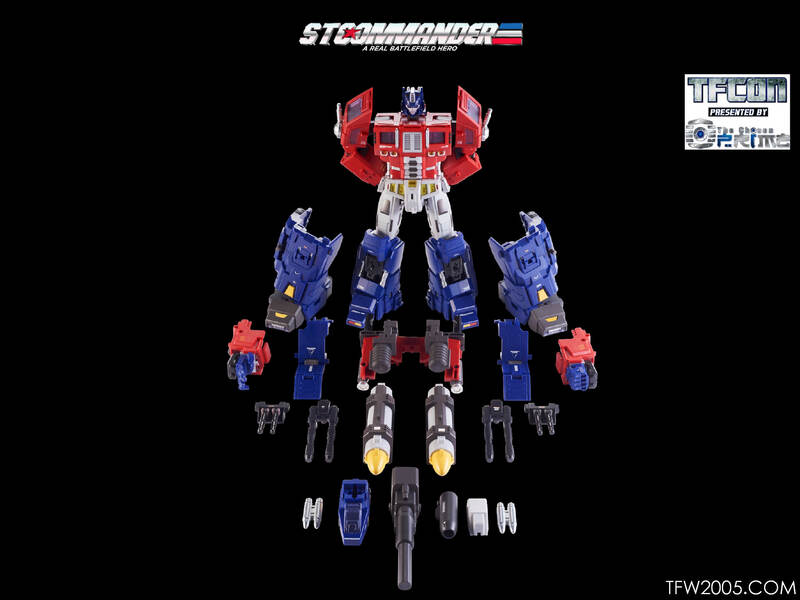 I want Fans Hobby to make an MP-scale Hero Prime. Love that 2nd pic deco. I’m loving this avenue of GI Joe bots. Hopefully they willcombine M.A.S.K. 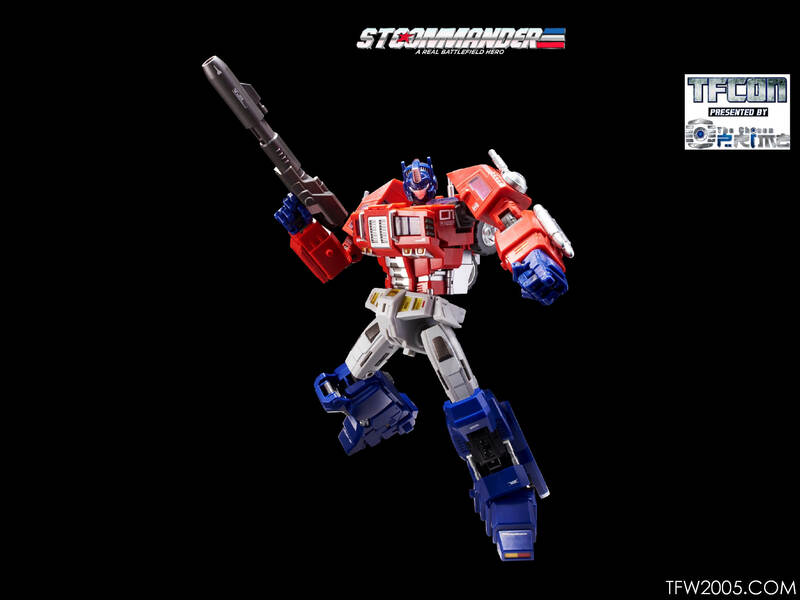 and Prime for their next offering. 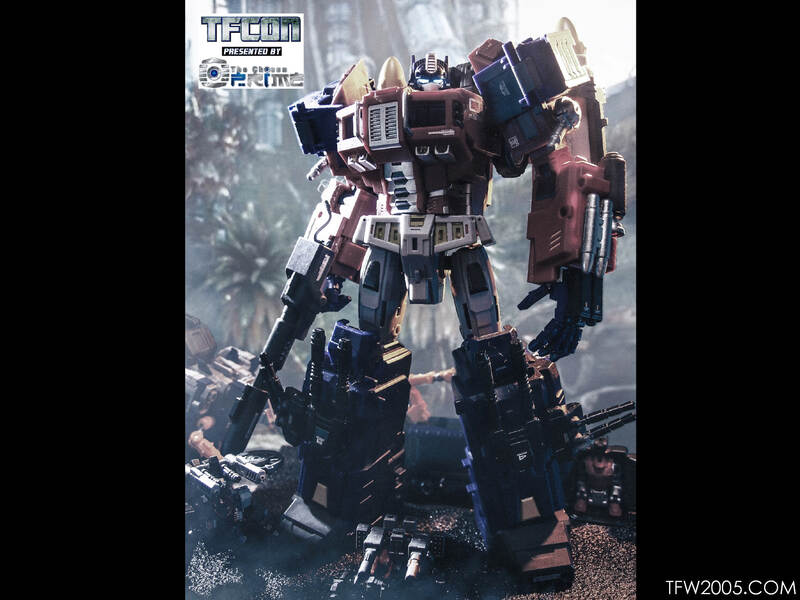 I'm late to the game, all G1 color sold out on taobao. Pulled this bad boy out for a quick fiddle over the weekend and I still maintain he was the best purchase of 2018. Yeah, there were some truly great figures last year. 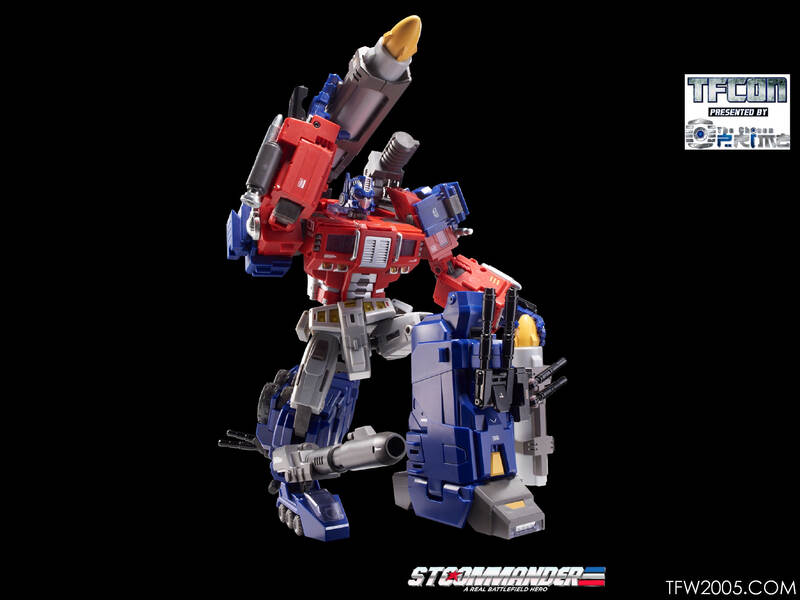 This guy and the re-issued DX9 Rodimus are my top two, with Gigapower Sludge coming in third. DX9's Rodimus is one of my all-time favorites, but I'd had him for awhile. 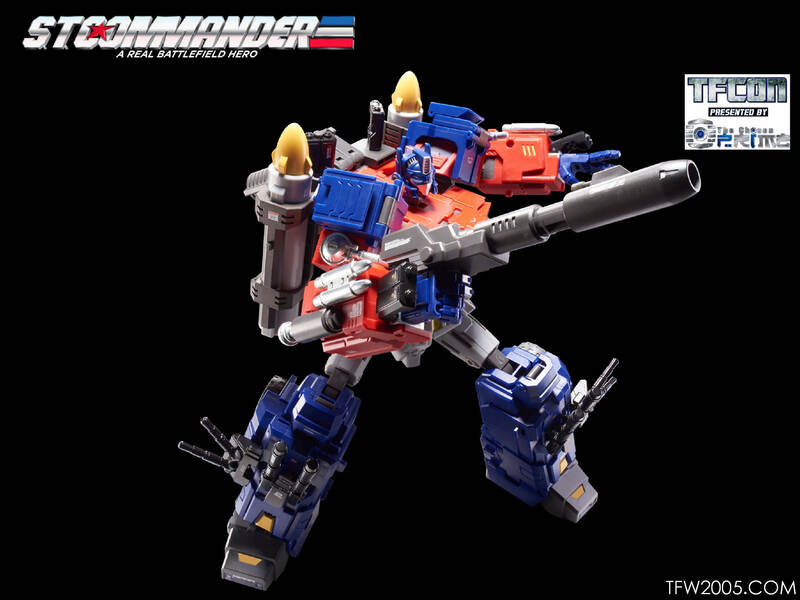 Likewise, I didn't count Power Baser because he technically released at the tail end of 2017, even though mine didn't arrive until January. This year's shaping up pretty fine, too. Why you are sad? Camo version is better anyway. 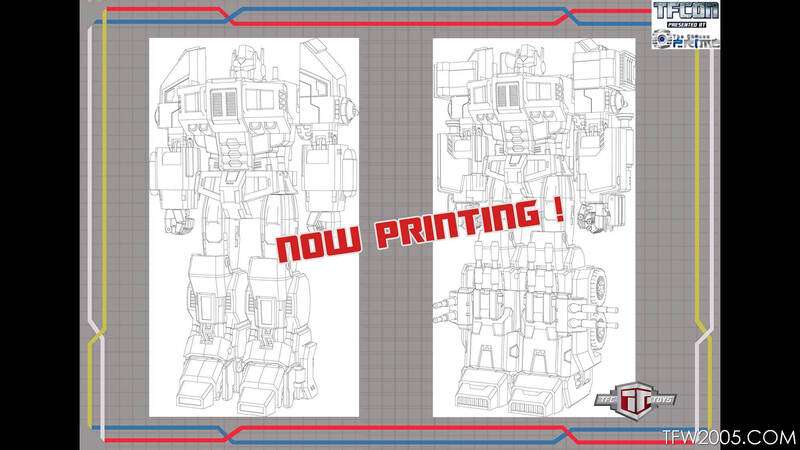 There are so many G1 color version optimus prime, if it's possible, I would pick a color schema rarely used. This monkey means nothing to me. Why? This is unlicensed 3rd Party.